Da Capo Lifelong Books, 9780738218427, 256pp. Meg Keene is the Founder and Editor-in-chief of A Practical Wedding, which started as a blogspot account on her kitchen table, and is now the largest independently-held wedding publication in the world. 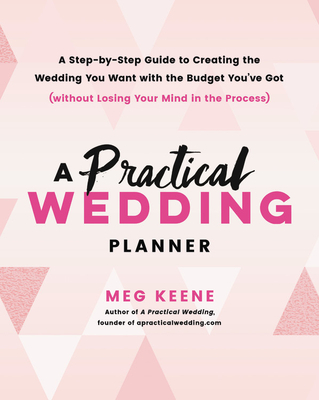 Meg has published two (creatively named) books: A Practical Wedding, and A Practical Wedding Planner, both top sellers on the wedding bookshelf. Meg's work has been referenced in the New York Times, the Wall Street Journal, and NPR. It's also showed up on sites like Jezebel, Feministing, Refinery 29, and The Hairpin. She's proud of her roots in California's Inland Empire, though she's also done her time in Brooklyn. Though you're never supposed to say you converted to Judaism (you're just Jewish), she always says it anyway. Meg works and lives in East Oakland with her husband and two tiny kids. For more: For more than you ever wanted to know about Meg, you can visit MegKeene.com.